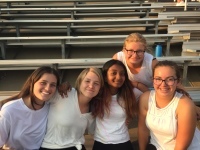 Welcome to the OPHS Color Guard Page! ​Think of dance, gymnastics, and cheer. Now add some flags, rifles, and sabres. 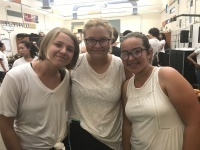 Color guard is more than just being back-up dancers for the band and flag-twirlers. Color guard tells a story with every movement made and adds drama, emotion, and effect to what the marching band already does. We perform at football games, competitions, and occasionally at rallies and special performances. In the winter, color guard does their own show without the band called winter guard. More than being a sport, color guard is a family. Joining color guard counts for P.E. credits. If you're interested in joining, contact the people below! You can come try it out before joining if you want to see what it's like. 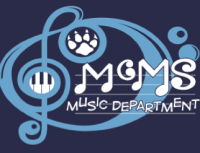 ​When registering for classes on Naviance, select Marching Band and/or Drumline/Winterguard. If you decide you want to join after registration, email Mr. Borquez ([email protected]) telling him you want to join color guard in marching (fall) season and/or winter season. ​Of course! Color guard is open to people with or without experience, all genders, and anyone who is interested! ​Do I have to do both seasons, or can I choose one? ​You are not required to do both marching and winter season in order to do one, however it is recommended to do both.